There was a time when Dashain meant kites fluttering across clear blue skies, struggling to stay up in the air, the long bamboos of the temporary swings squeaking as kids took turns pushing one another, and never-ending elaborate feasts. It wasn’t unusual for families to put aside ongoing feuds and come together for tika. It was a time to be merry and rejoice. It’s no secret that Dashain today isn’t exactly what it used to be. Today, this is the time of the year when many people go abroad on holidays. Those who do stay behind don’t go through the trouble of cleaning or decking up their homes, and children are glued to their gadgets rather than going out to play. It’s not just traditional Nepali food that we will whip up in our kitchens with many even choosing to eat out or order in. “The essence of Dashain is no longer the same. Traditions that we waited months for are no longer celebrated, and the most important aspects of Dashain are being neglected. This is not what our society was founded on. We need to keep our traditions alive,” says 25-year-old Stuti Thapa recalling how Dashain used to be around ten years ago. “I used to feast on elaborate mutton delicacies and run about on the fields with my cousins and wait for my turn on the swing as I pushed them. There was a certain vibe that isn’t there anymore,” she adds. Nevertheless, here are some important, often largely ignored, Dashain traditions that have been around for years. Nawa Durga, a very special deity, is said to be able to appear in nine different forms, each of which is endowed with unique powers and traits. On the ninth day of Dashain, Navaratri, many families worship Nawa Durga in the form of nine girls who have not reached puberty. This is due to the fact that these girls symbolize all the goddesses that came together in Goddess Durga for this struggle. It is further believed that if one were to drink water from their hands, they would be purified. 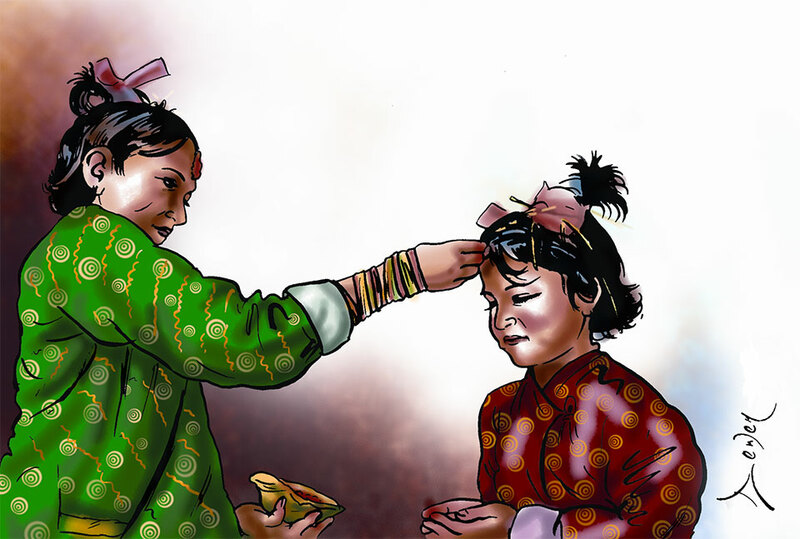 The nine girls are fed all kinds of fruits and other delicacies and are also offered money and gifts. This day is also when the Taleju Temple at Hanuman Dhoka is open to the public. Hundreds of people from all over the valley come to visit the temple to offer prayers and animal sacrifices to the goddess. While this tradition is carried out way before Dashain starts, the main idea and purpose is for the festival itself. Long before Dashain starts, women living in rural areas gather sal leaves and weave ‘duna’ and ‘tapari’ (small and big bowls), and ‘rikapi’ (platters) from them. These ‘utensils’ are used during the various rituals carried out throughout Dashain. Hindus are very strict when it comes to purity of utensils and that is why women make fresh ‘duna’, ‘tapari’ and ‘rikapi’ during every festival. These freshly made leaf utensils are used to serve food to guests and relatives. While we all know that cows are the holiest and most sacred animals in Hinduism, our ancestors actually plastered their entire house with cow dung. Cow dung, which is believed to have holy properties and considered a great antiseptic as well, was used to paint the entire house and porches as it was believed to bring good luck, health, and wealth to families. However, today, not many people abide by this tradition as cow dung has an unpleasant odor and is also considered dirty. 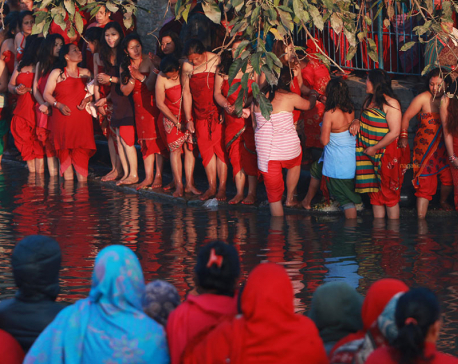 But this ritual is still carried out in numerous villages across Nepal.